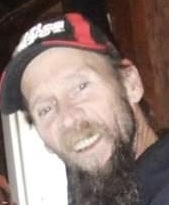 Lester C. Holcomb, 61, of Matherville, Illinois died Tuesday, March 26, 2019 at his home. Cremation has been accorded. A Celebration of Life will be held on Saturday, March 30th from 3:00 – 7:00 p.m. at the Matherville Eagle’s Hall. Burial will be at a later date in Farlow Grove Cemetery, Matherville. In lieu of flowers, memorials may be left for the family to help with final expenses… and directed to Dennison Funeral Home, PO Box 194 Viola, IL 61486. Lester Carl Holcomb was born April 23, 1957 in Norfolk, Virginia the son of Jack A. and Gloria L. May Holcomb. On October 24, 1981, he married Jill Crawford in Matherville. Les worked as a railroad foreman for a railroad contractor. In his free time, he enjoyed hunting, fishing, hunting mushrooms and working on motors. Those left to cherish his memory are his wife: Jill Holcomb of Matherville; son: Shane Holcomb and his girlfriend: Hanna Brown of Matherville; grandchildren: Logan, Karter and Syler Holcomb and brothers: Doug Holcomb of Matherville and Mike Holcomb of Milan. He was preceded in death by his parents and sisters: Jean Holcomb and Becky Griggs. The Holcomb family would like to thank Genesis Hospice and Les’s nurse, Jen, for her exceptional care.